The secret to beauty sleep? Awhile ago I was gifted with a little product from this works, a skincare company I really like, it’s ethos is clear and simple. Great products, using natural actives that do what they say – and actually work. Yet when I was handed this product, I have to admit I was sceptical. How could this work? How can this little roller ball help me sleep more deeply and feel less stressed? Is this little product the secret to living a london lifestyle? Whilst by no means do I think this is a magic potion, it has delivered. I rolled it on to my temples and pulse points as directed and breathed in the natural active aromas of lavender, eucalyptus and frankincense. At first I thought this won’t do anything… But I just closed my eyes and breathed in and out and soon found myself drifting off. When I woke up it was from my alarm. I hadn’t woken in the night. Not once. I felt like I’d had a weekend sleep. Now the reason why I haven’t posted about this product straight away was to see if it stood the test of time. When I first used the product I was dealing with a super stressful situation and hadn’t been sleeping at all. So I felt that I needed to assess using it for a longer period. Now a few months in, I have stopped using it everyday but when I do use it I notice a difference and tend not to wake in the night. It really does work! So what’s inside this little rollerball wonder? Refreshing Eucalyptus which is renowned for boosting your physical and mental fatigue like a sensory cleanse and reinvigorating. Frankincense essential oil which helps you relax both physically and mentally whilst acting as an antiseptic to help fight infections, it also works at rejuvenating the skin so you look replenished when you wake. Last but of course by no means least, Lavender Oil, which most of us know is the most effective oil in helping hypertension, nervous tension and insomnia. Since trying this, we are all now heading into the festive fast lane and the wonderful this works Christmas collections are now on shelf. I would say if this post makes you think of anyone you know, gift them this product. I was gifted this and it’s been one of the best gifts I have had. 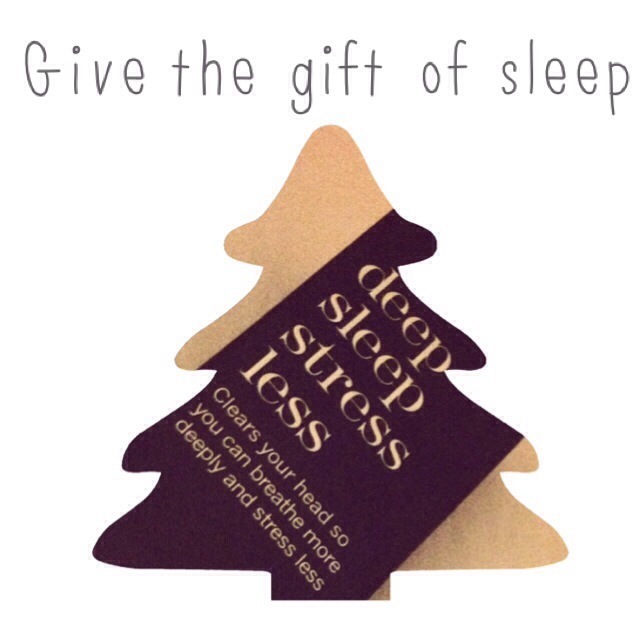 Giving the gift of better sleep? Surely that’s at the top of everyone’s secret letter to Santa?